Climb your way to victory in Operation White Noise, available now! Hack enemy devices with Dokkaebi, hide from cameras with Vigil, and fire both concussion and impact ammunition with Zofia! In „White Noise“ stoßen zwei Operator aus dem 707. Spezialbataillon zum Rainbow-Team, um an einer Rettungsmission hoch oben im „Mok Myeok“-Turm, unserer neuen kostenlosen Karte, teilzunehmen. 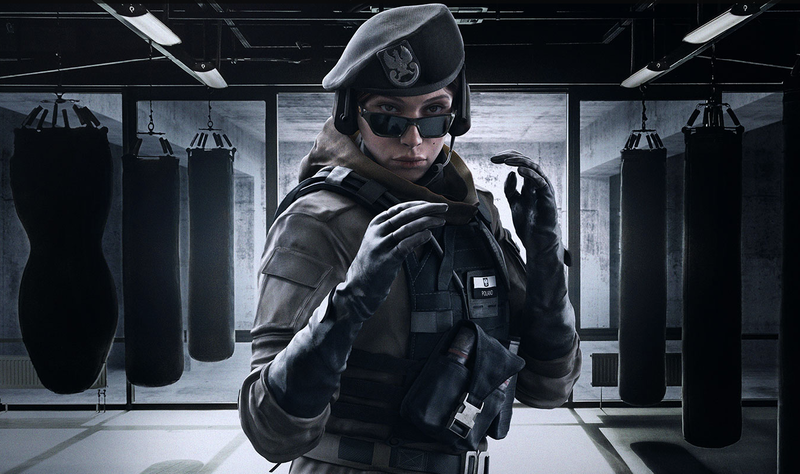 Hinzu kommt Zofia, die zweite GROM-Spezialistin, die Operator für das Rainbow-Team wird. In der letzten Saison des zweiten Jahres sollte das Erlebnis der Spieler verbessert werden, indem eine neue Rückstoßanimation für Pistolen, neue Benutzeroberflächen-Anzeigen für die Fähigkeiten der Operator und eine Synchronisierung der Flugbahn von Granaten eingeführt wurden. Weitere Details sind weiter unten zu finden. 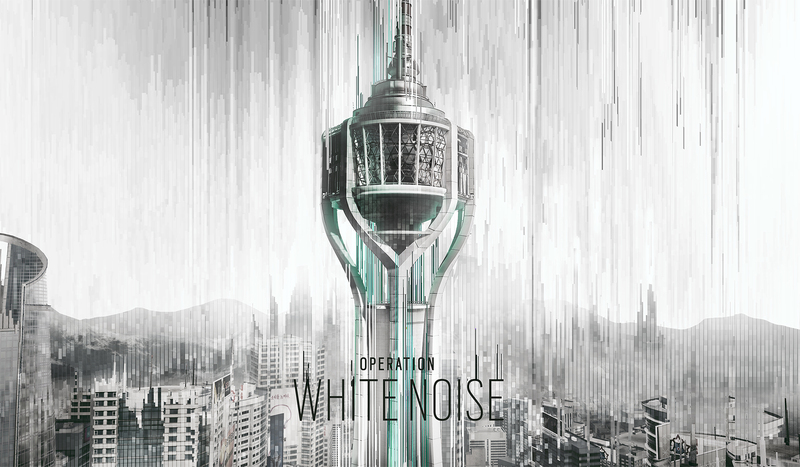 Operation White Noise bringt euch zwei neue Operator aus der Republik Korea und dem berühmten 707. Spezialbataillon. Man nennt sie nicht umsonst die „White Tigers“ und das 707. bildet bei brutalen winterlichen Bedingungen die besten Operator Koreas aus. Unter ihnen … der tödliche Vigil und die listige Dokkaebi. In Operation White Noise, two 707th SMB Operators scale the snow-capped Mok Myeok Tower to lead a rescue mission in Seoul, South Korea. The modern communications and observation tower offers fresh vertical vantage points overlooking the entire cityscape, and sets the stage for diverse multilevel tactics. To celebrate the end of Year Two, flaunt our latest Seasonal Weapon Skins: Tiger Claw, Feral, Phoenix, Fearless, and Polish-inspired Husaria.Seasonal weapon skins can be applied to the weapons available until the end of the current season. This season honors Mark R. “Mute” Chandar with an elite set. 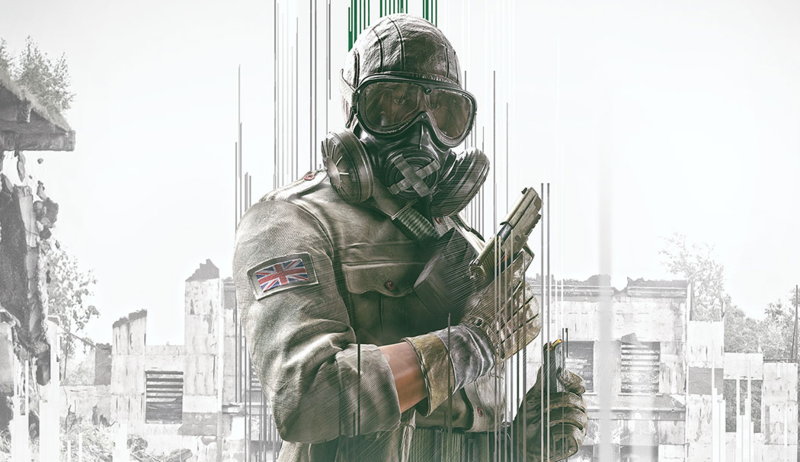 Inspired by the renowned bravery of the phantom special reconnaissance unit formed at the brink of WWII, Mute embodies the F Squadron.Each Elite set is Operator-specific, and includes a distinctively themed Uniform, Weapon Skin, Gadget Skin, Chibi Charm, and Signature Victory Animation. We will be testing a new synchronization logic for some projectiles, with a primary focus being on grenades.The main purpose for the Trajectory Synchronization change is to fix issues where a grenade would desync on the game client and suddenly teleport back. This synchronization change allows us to align the trajectory between what the server sees and what you see on your client. This will reduce the chances that your grenade will return to you after releasing it. Together with this change, we will take the player velocity into consideration when throwing a grenade. As a result, moving while throwing a grenade will alter the trajectory in various ways. The initial velocity of the grenade will now be combined with the thrower’s movement velocity at the time the grenade was thrown. The thrower’s velocity will therefore modify the trajectory of the grenade in these ways: Throwing a grenade while moving forward will result in a longer throw. Throwing a grenade while moving backward will result in a shorter throw. Throwing a grenade while strafing will induce a lateral movement in the grenade trajectory.The initial reason for this change was that we found that it made grenade throws feel better with this new synchronization logic. We were also glad to see that after playing with it for a while and getting used to it, this change made us feel like it added depth and player control to grenade throwing.This feature is experimental on the TTS, so we welcome your feedback on the TTS Subreddit. We have changed the pistol animation for greater player comfort. Our overall goal is to make pistols a true choice for players, not just a last resort when you are out of bullets.Before this change, you always had to aim down the sights because the animation would make the barrel of the pistol lift up in the middle of the screen (where the bullet goes). As a player, you would then have to guess where the enemy is. This issue was especially true if you were aiming for their head.We have also increased the rate of fire of all pistols. Players can discharge their magazine significantly faster with this change. This has the added benefit of making pistols more lethal, which ties into making them a real choice for players. We have been monitoring the community’s feedback regarding ping abuse, latency, and peeker’s advantage. In this blog, we will explain what these are, how they affect gameplay, and what we are doing to fix them. 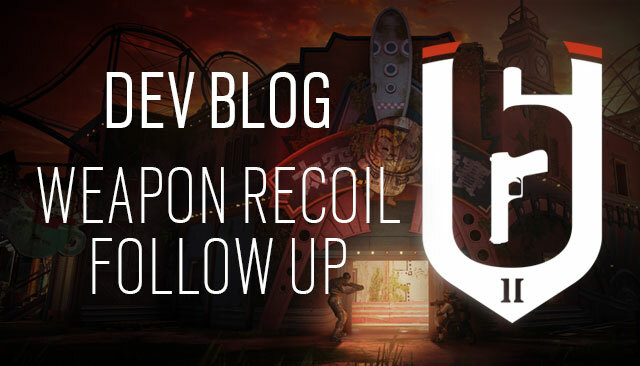 Before diving into the details of latency, we want to establish that the design philosophy of Rainbow Six Siege is player replication and hit validation should favor players that have the faster and more stable connection. To that end, we will continue to improve all our systems to provide low and stable ping players with the best experience possible while maintaining the accessibility for higher ping players. Replication is the process by which we mirror a sequence of movements and actions done by a player on a remote computer, such as a game server. You can think of replication as “ghosts” that follow players. This “ghost” represents your position as seen by the server. For example, if you have a ping of 200ms, your “ghost” is where you were 100ms ago (since ping represents round trip duration). The higher a player’s ping, the further behind the player their “ghost” is. However, when peeking (moving out of cover), a higher ping will not give you more time to react and shoot before becoming visible to other players. This is because all shots need to be validated by the server, so any increased amount of time will also apply to your shots reaching the server. Peeker’s advantage is a result of the aforementioned “ghosting” effect. We cannot remove “ghosting”: doing so would require all movements to be validated by the server before taking effect on your client. This would result in increased input delay (equal to your ping), which is contrary to the design philosophy of making movement as reactive as possible. However, unlike the common perception, peeker’s advantage depends only on the speed of the victim’s connection, not the peeker’s. The maximum time, once the peeker becomes visible, that the victim has in order to shoot and come out on top is what we define as the window of opportunity. Peeker’s advantage is caused by the fact that this window of opportunity is always shorter than the reaction time of the peeker. In this clip[static2.ubi.com], we will display the difference when the victim (Player 2) has a faster reaction time (150ms) than the peeker (Player 1) (300ms reaction time). You will notice that the increased ping of the peeker has no impact on who wins the firefight. While the peeker was able to fire, the victim had already landed a headshot that was validated by the server, so the peeker’s shot was rejected and they died. In this video[static2.ubi.com], we will show you how the victim’s ping impacts the result of the shots arbitration. While the reaction times remain the same (150ms for the victim, 300ms for the peeker) we progressively increase the ping of the victim. The ping of the peeker remains constant and we intentionally set it to a high value: 400ms. Increasing the ping of the victim results in a reduction of their window of opportunity. While they are able to win the firefight at low ping (50-100ms), they start losing when their ping is too high (200ms). We created the following image to demonstrate what you saw in the above videos, without the gameplay. What you are seeing is a timeline of actions, the order in which servers accept input, and how latency influences those steps. The above asset is showing you how the reaction time of the peeker is preserved on the server and then on the victim simulation, even if the peeker is playing with high ping. What you are seeing in the above asset is the impact that the victim’s ping has on their chances to survive. The victim will need to fire at his opponent before the peeker’s shot reaches the server which can only be achieved by shooting during his window of opportunity. This window of opportunity is not affected by the peeker’s ping. Once officially dead on the server, all further actions by a player are rejected. This is in line with the design philosophy mentioned at the beginning of this blog, which states that the player with the fastest and most stable connection should have the advantage. Starting with the Year 2 Season 3 Mid-Season Reinforcements, we will be implementing the following adjustments and changes to how the game manages latency, processing, and hit validation. Our plan is to continue working on these topics during the upcoming seasons. Latency alignment is a change that allows the server to more accurately mirror the reaction time of a shooter with an unstable connection. If a player is sending position updates at an inconsistent rate, then the server will adjust the timing of their incoming shot messages to match its representation of that player’s commands more accurately. While it is a matter of milliseconds, the end result is a wider window of opportunity when going up against players with fluctuating latency. We have a new pawn-to-pawn physics system, which should address issues with players teleporting behind shield users. This issue was most commonly experienced while blocking a doorway with Montagne. We are reducing the upper limit on the latency required to initiate extra hit validation steps. More details about these extra steps and how they affect gameplay will be published in another blog post. Currently, the ping value displayed in the menus includes the processing delay. This is misleading, since running at a faster frame rate results in lower ping values being shown. We are removing this processing delay from the ping value. Although only a cosmetic change with no impact on gameplay, the value displayed will be a more accurate representation of your connection speed with the servers. When one of these is in a degraded state that could affect your performance, the icon appearing will notify you. This will help provide a more accurate representation of your connection status beyond just a player’s ping. The icons have two states: yellow and red. The thresholds for each state can be tweaked at any time by the dev team, therefore the following values are just an approximation of the current settings. Latency icon: The latency icon will appear when your ping is high. A yellow latency icon means your ping is high enough for additional validation steps to be triggered by the server (around 100-140 ms of ping). These additional validation steps come into play when treating your shots, and determining whether or not they are a hit. You might notice some of your hits are not registering. Having a high ping also means you could encounter unpleasant situations such as dying behind cover. A red icon means your ping is bad (around 400-500 ms of ping). Being in that state for a long time could result in player being kicked from the game server. When the latency red icon is visible, almost all of your hits will be rejected by the server. This is intended. Connection icon: The connection icon appears when you are experiencing packet loss or latency instability (for example, when some of your packets are being redirected on another internet route). When this icon is triggered, you can experience rubber banding, hits being rejected by the game server, and abnormal induced latency. The probability of experiencing those situations is far higher when the red icon is visible. Update rate icon: The update rate icon appears when your frame rate is dropping or is unstable and the number of packets sent by your game client to the server is not high enough. You might experience hits being rejected by the game server and abnormal induced latency (this latency is induced by the game server to prevent other players from seeing your character stuttering). You could also experience rubber banding when the icon is red. Host icon: The host icons appears when the server is experiencing issues and is unable to preserve the stability of the simulation. All players connected to that game server will see the icon appearing at the same time. When you see this icon, you can experience rubber banding, abnormal latency or hit registration issues. Those situations will be more noticeable if the icon is red. Most of our upcoming changes will result in a less comfortable experience for high ping players, but this is something that we are doing consciously, and believe it to be in the best interest of the game as a whole. 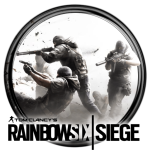 Please join us to discuss your learnings from this blog on the Rainbow Six subreddit! 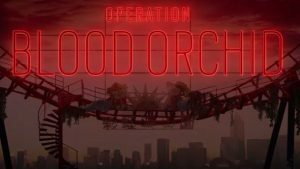 Der Season 3-Patch nimmt massive Änderungen an den Charakteren und der Karte Kafe Dostoyevski in Rainbow Six Siege vor. Mit den Alpha-Packs belohnen wir euch mit kostenlosen Dekorationen dafür, dass ihr das Spiel spielt! Die Alpha-Packs bieten uns zudem eine spannende Gelegenheit, den Spielern eine zweite Chance auf zeitlich begrenzte Dekorationen zu geben, wie zum Beispiel die Waffen-Design-Reihe „Schwarzes Eis“. Wie bereits bei unserer ersten Ankündigung von Operation Health erläutert, arbeiten wir an der Neucodierung von Hibanas einzigartigem Gerät, dem X-KAIROS-Granatwerfer, um kritische Fehler zu beheben. Wir freuen uns sehr über die Verbesserungen, die wir bisher geschafft haben, und möchten mit euch unten ein paar weitere Schritte im Prozess der gesamten Fehlerbehebungen teilen. Wir werden eine Behebung für das Problem bereitstellen, das die zweite Ladung von Hibanas X-KAIROS daran hindert, zu explodieren, wenn sie zu schnell nach der ersten Ladung aktiviert wird. Wann immer dieser Bug aufgetreten ist, leuchteten die X-KAIROS-Ladungen auf, als ob sie gleich explodieren würden, jedoch endete die Animation nach einigen Sekunden und die Ladungen blieben auf der Oberfläche zurück, auf die sie abgefeuert wurden. Hierbei gilt zu beachten, dass es auch andere Situationen geben kann, die eine Explosion der X-KAIROS-Ladungen verhindern. Wir werden diesen Fällen weiterhin nachgehen, wenn sie auftreten. Wenn ihr mit dem X-KAIROS-Granatwerfer zwischen zwei verstärkte Wände zielt, könnt ihr die Formänderung erkennen. Wenn ihr feuert, seht ihr, dass die Ladungen viel zu nahe beieinander zu sein scheinen, was wiederum zu Fehlern bei der Zerstörung der verstärkten Wand führt. Wir haben die Verteilung der Ladungen zwischen angrenzenden verstärkten Wänden angepasst, sodass sie nun wie geplant erfolgt! Es gibt eine Möglichkeit, seinen ersten Ladungssatz auszulösen und gleichzeitig einen weiteren Satz abzufeuern. Das führt dazu, dass der zweite Satz Ladungen in der Luft ausgelöst wird und zur gleichen Zeit explodiert wie der erste. Es gibt jetzt eine Verzögerung, die verhindert, dass Spieler diesen Exploit nutzen, und bewirkt, dass Ladungssätze individuell gesprengt werden müssen. Dies beeinträchtigt jedoch nicht Spieler, die zwei Ladungssätze abfeuern und diese gleichzeitig auslösen möchten. In manchen Fällen blieben die X-KAIROS-Ladungen an der Wand, nachdem sie bereits explodiert sind. Dies wird mit Update 2.1.1 behoben, sodass die Ladungen ordnungsgemäß nach der Detonation zerstört werden. Beachtet bitte, dass die Neucodierung von Hibanas Gerät noch andauert und die oben genannten, bereitgestellten Fehlerbehebungen nicht bedeuten, dass bereits alles abgeschlossen ist. Um mehr über die gesamten Fehlerbehebungen von Hibana zu erfahren, lest diesen detaillierten Blog. In der Titelaktualisierung 2.1 haben wir einige Fehlerbehebungen zu Spawn-Orten implementiert, die es den Verteidigern erlaubten, eine freie Sichtlinie zu haben und damit Eliminierungen zu erzielen, sobald das Angreiferteam gespawnt ist. Eine der Karten, bei der wir diese Änderungen durchgeführt haben, war „Kanal“. Wir haben das Feedback, das wir von unseren verschiedenen Communitys erhalten haben, berücksichtigt und beschlossen, eine Änderung vorzunehmen, wie mit dieser Spawn-Position umgegangen werden soll. Als Resultat dessen haben wir das Fenster auf Kanal wieder geöffnet, sodass Verteidiger vom Kontrollraum aus mehr Optionen haben. Schaut euch den Screenshot unten an, um eine optische Darstellung der Änderung zu haben, die wir umsetzen. Einige Wände der Blauen Bar auf der Karte „Küste“ reagieren nicht richtig auf Zerstörungen. Darum haben wir die Wände überprüft und die betroffenen neu aufgebaut, sodass Zerstörungen ordnungsgemäß an der gesamten Wand dargestellt werden. Am 2. 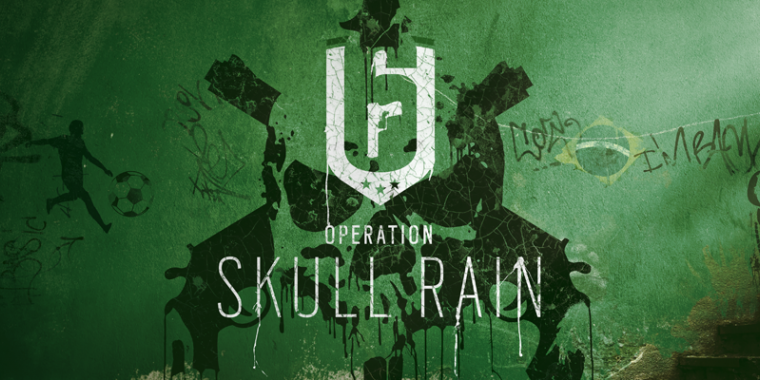 August erscheint mit Operation Skull Rain der dritte Season-Pass-DLC für Rainbow Six: Siege. Schauplatz sind die Favelas von Rio de Janeiro.